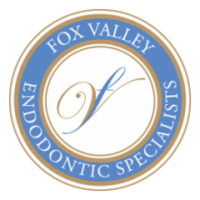 Thank you for your interest in Fox Valley Endodontic Specialists. We are board certified specialist members of the American Association of Endodontists. Our Specialty Dental Practice is limited to endodontics (root canals and related dental procedures).We look forward to being of service to you. Our expert team, led by respected endodontic specialists Drs. Rauschenberger and Shariff, includes an experienced endodontic staff. We provide the highest standard of professional care in a friendly, comfortable environment.